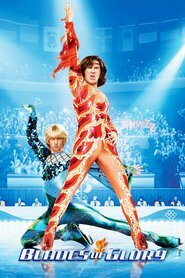 Grew Up… for four years in an orphanage before being adopted by billionaire Darren MacElroy to be developed into a figure skating superstar. MacElroy the Younger’s childhood was typical of a sheltered prodigy: training all day, every day. He was circumcised at age 9 in order to reduce drag. Profession… figure skater. MacElroy was born to skate. In his words, “It’s what the ice lets you do. Out there, I feel like I can do anything. It’s the only place where life makes sense,” he says. He is known for his combination of elegance and technical precision, and for his trademark move, the galloping peacock. But with the ban, MacElroy is adrift. Interests… snow cones and Capri Sun. Bonus: he speaks fluent Japanese! Relationship Status... single.The continuation of MacElroy’s strict, skating-focused upbringing into his early adulthood preserved his wide-eyed innocence and effeminate mannerisms. So despite his enormous popularity, he’s never really had a girlfriend. Although, he does have a huge crush on Katie Von Waldenberg, the pretty and demure younger sister of MacElroy’s nemeses, pairs skating champs Fairchild and Stranz Van Waldenberg. Challenge… trying to qualify and win the pairs title at the World Winter Games with Chazz Michaels. They discovered a technicality that allows them to compete as pairs skaters, but MacElroy and Michaels only start piecing together their routine one month before nationals. It is a race against the clock. But since skating is second-nature to MacElroy, perhaps an even more formidable challenge is his foray into completely uncharted territory – his courtship of Katie. Personality…. a kid at heart, and pretty much on the surface too. He wears bright blue briefs. He clutches his big frog stuffed animal. His answering machine delivers the following message: “Hey, it’s Jimmy. If you can dream it, you can do it!” MacElroy is in his late 20s, but he’s just an overgrown boy, for better and worse. Maybe his unlikely partnership with the worldly (OK, “crass”) Michaels will do him some good. Jimmy MacElroy's popularity ranking on CharacTour is #3576 out of 5,000+ characters. See our top-ranked characters and read their profiles.